This 2 minute task will make an email address containing your website’s URL that you can stick on a business card or write on a whiteboard. But since you’re not creating a new email account, just forwarding mail to an existing one, you don’t have to log in to a bunch of different accounts. 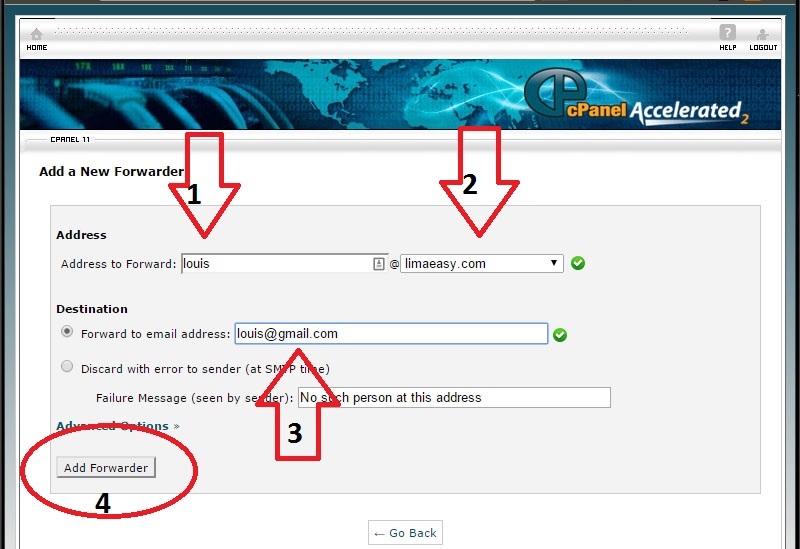 Use the “Forwarding” panel to permanently forward email from a new email address to an existing email address. 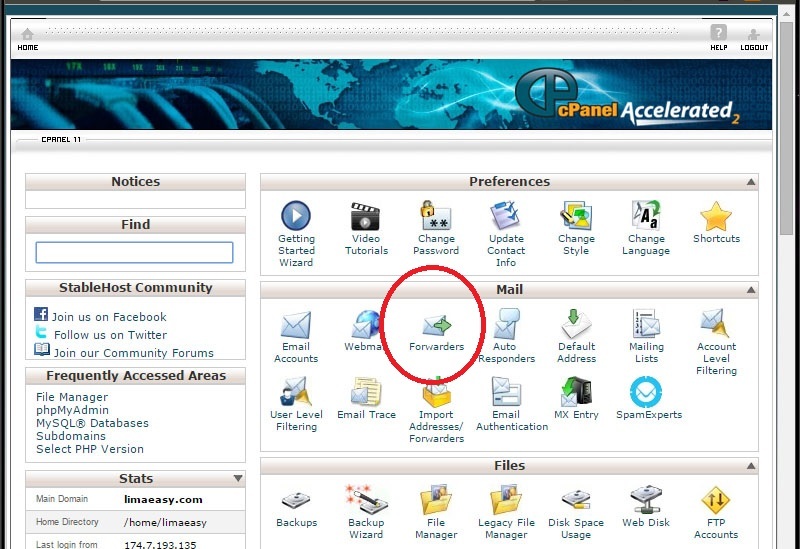 First log into cPanel.The URL in often cpanel.YOURSITE.com but it could be something completely different. Your host will provide you with this URL. 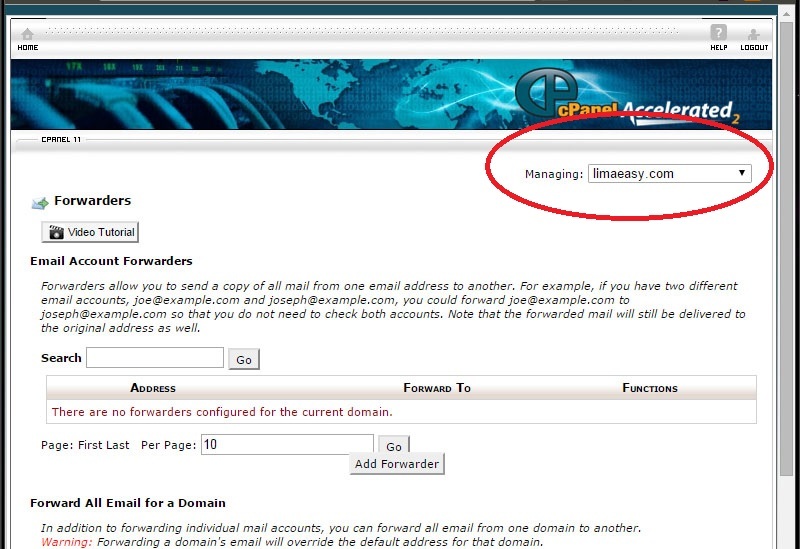 Under the “mail” tab locate “forwarders.” Click to enter the email forwarding screen. Make sure the domain you wish to add an email forwarding address for is selected from the drop-down menu. Click the “Add Forwarder” button to begin adding addresses. Under “Address” is the email address you wish to put on your business card or elsewhere (arrow #1.) You can choose any name to forward. Popular options are “admin” or “editor” or just your first name. Double check to make sure the website URL (arrow #2) is correct. Under Destination, type your existing email address. From now on, all emails sent to the address you have specified will be automatically forwarded along to your existing email account. This entry was posted in cPanel. Bookmark the permalink.